Opti-Rite®: clear dry erase material. Make any smooth, non porous surface, a dry erase surface. Use Opti-Rite®: clear to enhance, protect, and add value to your graphics. 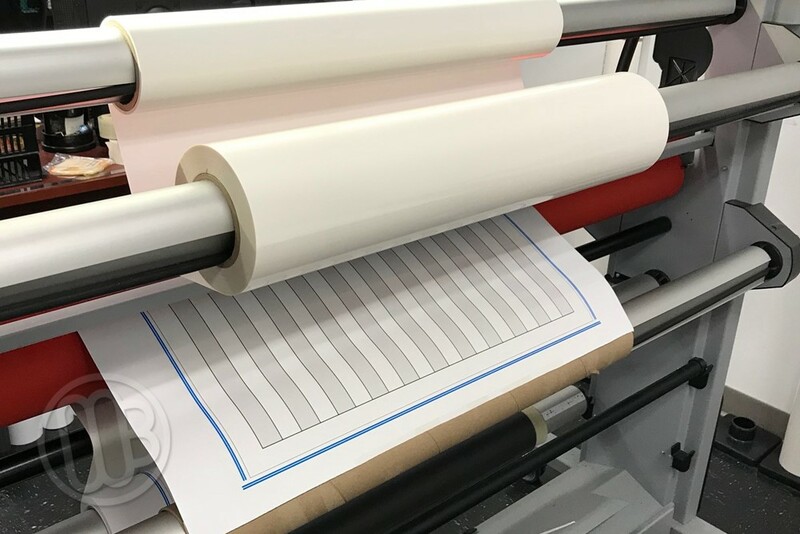 Opti-Rite® clear, for everything from printed signs to making custom dry erase boards. Transform any smooth non-porous surface into a high gloss surface. You can use either damp or dry erase markers. 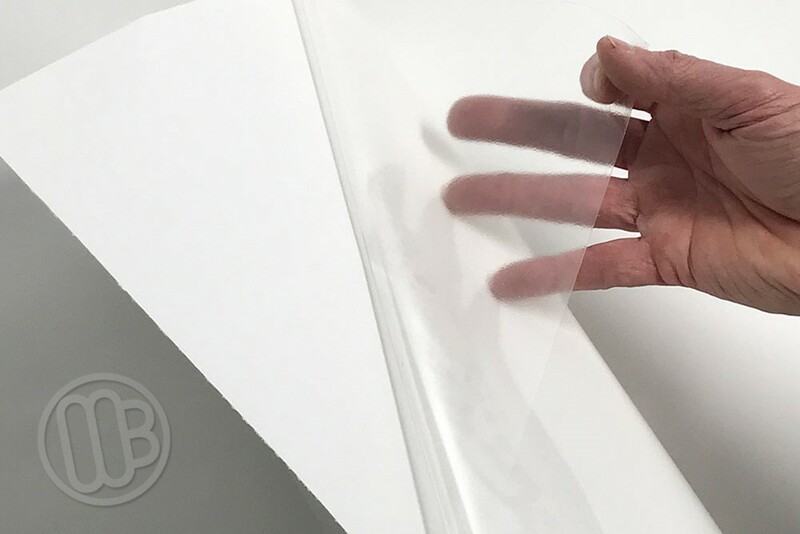 A translucent, self-adhesive material with a peel-and-stick backing. Rolls are 51" wide. Like our other Opti-Rite® dry erase products there is never any ghosting or staining. 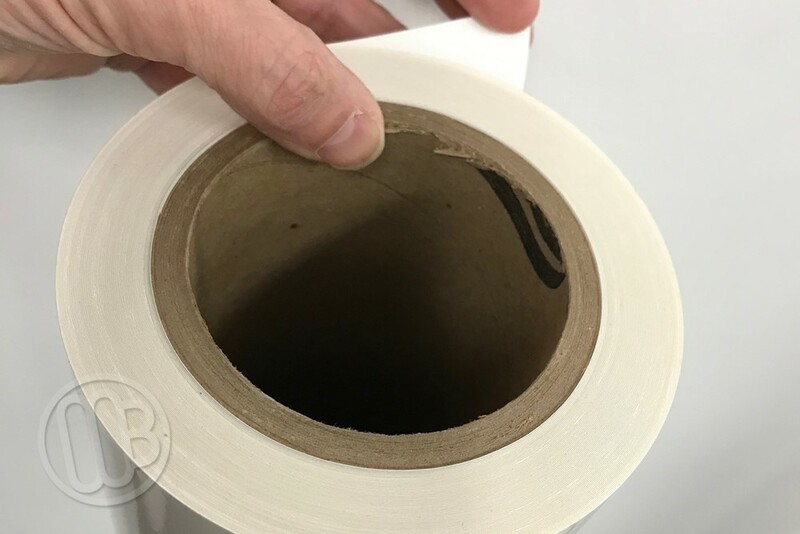 The adhesive formulation will apply with ease. The materials will adhere better and clearer over time. You won't find a better erasing clear dry erase material. 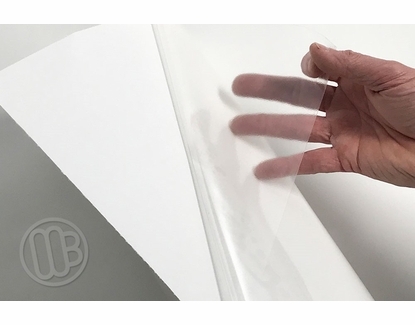 Translucent, Flexible dry erase writing surface. Rolls available from 4' long up to 150' in length. Ships rolled up in heavy duty shipping tubes. In Stock - normally ships in 2-3 working days. 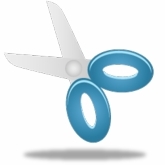 Easy to cut or trim with scissors or razor knife and straight edge. Avoid pinching or kinking the materials. The crease mark could be permanent. Lead-Time refers to number of days to leave the factory. 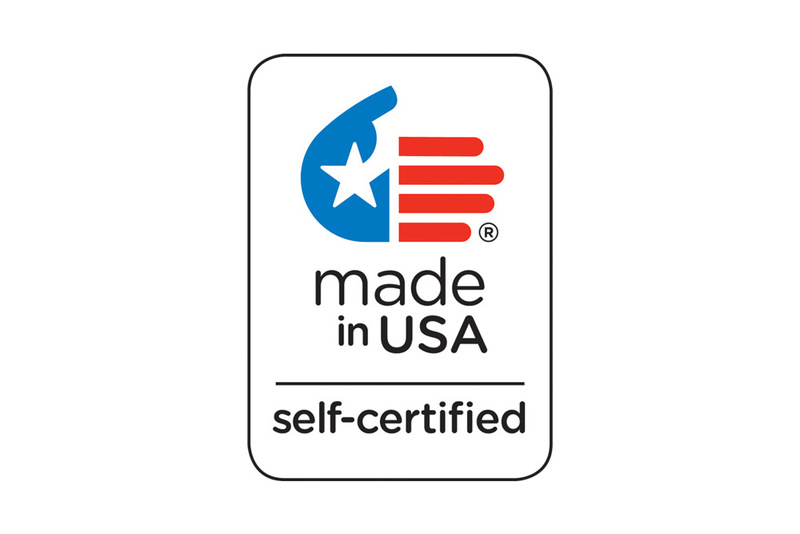 Opti-Rite® is a registered trademark of OptiMA Inc.
For best results the surface you're mounting to should be very smooth. The smoother the better. Any texture can telegraph through the material but it will not affect the writing surface at all. 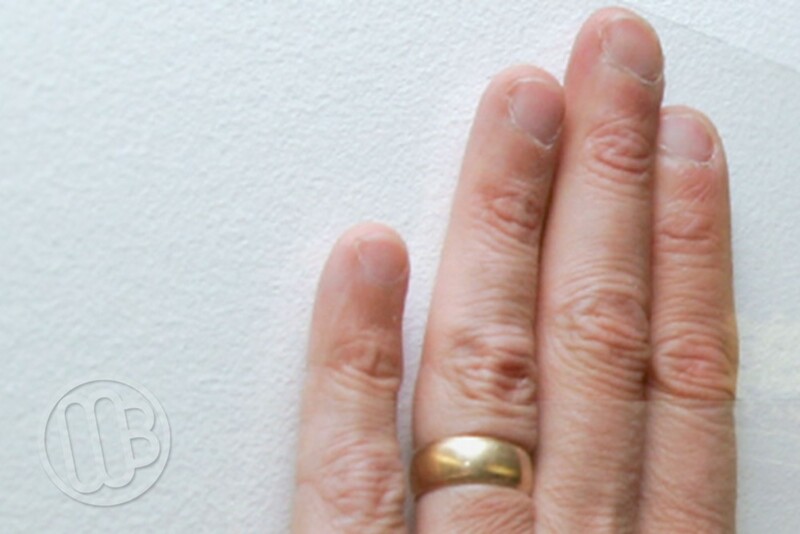 However, a heavy wall texture may adversely affect the adhesion of the product. For instance, this material is not recommended for installation on cinder block materials. When mounting using the Installation Kit be careful not to apply too much pressure. This may stretch out the materials and create wrinkles which may not settle back down. Just a firm application pressure is all that is required. Order custom length rolls of Opti-Rite C51 Clear 51" Wide Materials. To get a custom length roll simply enter the length you need in the box. Minimum length roll is 4' - Maximum length roll is 150'. The opti -rite clear film works as described wipes clean, no ghosting. A very good product however I found it to be much more difficult to install than described. Just a little to sticky to be able to pull back for realinment. Ended up with some wrinkles on the last section.